This article first appeared in Mint. All economic transactions have a buyer and seller. As consumers we are buyers. As marketers, we are sellers. So, in all economic transactions, buyers and sellers have a conflict of interest. If you are selling a soap to consumers, you are making money from consumers. Consumers get the soap in exchange. If the seller is unhappy, he can raise the price and make more money or target different buyers. If the buyer is unhappy he can choose another seller of soap for better value at a lower or higher price. Both sellers and buyers have some advantages and some disadvantages. Let’s examine sellers and buyers in other markets. For example, wealth. The seller is either a company or an agent who sells a financial product and the buyer is the end consumer. When sellers sell a financial product, it’s not usually as simple to understand and buy as a soap is. The information is usually in favour of sellers. Also, sellers try and hide the actual price of the product and fees are not disclosed upfront or not mentioned clearly. The amount of money is also a relatively large part of the savings for purchase of a financial product, whether it is insurance or mutual funds or shares in an IPO. Think of a typical insurance agent or mutual fund adviser or relationship manager. Whichever company and product gives her a higher commission, she usually tries to sell that product to the buyer, irrespective of whether the buyer has any knowledge about it, needs that product or knows how much it costs. In such a case, sellers take advantage of buyers. Another example is health. The seller is a hospital or a doctor. The information is in favour of the doctor because the patient is almost completely dependent on her. The conflict of interest is immense here between sellers (doctors) and buyers (patients), because the seller wants to make money off the buyer, while the buyer has very limited information and not much choice. One may think that the seller here is likely to have consideration for the buyer to a greater degree because of the nature of the relationship and the nature of the service, but does that really hold true? Do doctors sell only what the buyers need or do they take advantage of the lack of knowledge of buyers, just like insurance agents? Doctors too have goals of covering huge overhead costs and fixed costs like education to recover their money. So how do you think this kind of seller behaves with buyers? Surprisingly such conflict of interest doesn’t usually catch the attention of buyers. Another type of conflict of interest, is by stockbrokers. The broker may claim to have “inside” information about impending news on a stock and may urge buyers to buy the stock quickly. Investors buy the stock, which creates a high demand and pumps up the prices. This entices more buyers to believe the hype and buy shares. Stockbrokers then dump their shares. The price drops, and other investors are left holding stocks that are worth nothing compared to what they paid for it. We live in a world full of information asymmetry and caveat emptor (buyer beware). Sellers always put themselves first. As a solution, policies mandate disclosure. But disclosures like “insurance is a subject matter of solicitation”, assuming that buyers are being made aware of conflicts of interest, so they would discount the seller’s pitch. But this works only in theory. Behavioural science studies show that it makes no difference to the real behaviour of sellers or buyers. For example, calorie labelling on packaged foods does not have the intended effect of decreasing calorie purchasing or consumption. Conflicts of interest are everywhere, and their fundamental nature leads to a change in people’s view of the world in important ways, causing them to give biased advice and behave in dishonest ways. Conflict of interest pushes sellers into the direction of what is not good for buyers financially. And disclosures, the way they are currently framed, don’t fix the problem. That’s why policy makers need to recognise the size of the conflict and the depth of their influence, and try to create behaviourally designed disclosures, so that buyers are not taken advantage of. Policy makers need to understand that buyers are not necessarily rational; they have limited attention, limited cognitive bandwidth, suffer from biases and use rules of thumb to make decisions. That’s why policy makers need to rethink how disclosures are consumed by buyers and understand their actual effect on the behaviour of buyers. It would be best if disclosures are made intuitive with simple visuals and plain language that’s easy to read and understand, and are placed at prominent locations, so that they become part of the buyer’s decision-making process. This article first appeared in afaqs, a leading Indian marketing and advertising publication. Afaqs shared it as a “mustread, brilliant article” on social media. The mutual fund industry has been running an ambitious investor awareness campaign ‘mutual funds sahi hai’. At the same time, the AUM of the mutual fund industry touched a record level of Rs23 trillion by end of 2017—up from Rs16.46 trillion at the end of December 2016. But correlation does not mean causation. The main causes of the rise in mutual fund industry’s AUM is the combination of the effect of demonetization, decline in interest rate on fixed deposits, gold and real estate’s lackluster performance, flow of FII investment in Indian markets and the historical fact that retail investors are the last to jump into equity markets. The ‘mutual fund sahi hai’ campaign has had messaging like ‘life mein risk, toh mutual funds mein kyon nahi’ (if there’s risk in life, then why not in mutual funds’), ‘thoda thoda karke bhi invest kiya ja sakta hai’ (one can invest small sums too), ‘planning long-term karni ho ya short-term’, ‘mutual funds mein patience rakhna zaroori hai (one needs patience in mutual funds). The campaign has poured crores of the industry’s money into such communication. However, the campaign reminds me of the story of the blind men and the elephant. According to the story, none of the blind men were aware of the shape and form of an elephant. So they inspected it by touching it. The blind man whose hand landed on the trunk, thought the elephant was like a thick snake. The one who touched its ear, thought it was like a fan. The one who touched its leg, thought it was like a tree-trunk. The one who touched its side thought it was like a wall. Another who felt its tail, described it as a rope. The last felt its tusk and described it as a spear. None of the blind men had the complete context. Similarly, the ‘mutual fund sahi hai’ campaign creates limited perception by describing ‘stand-alone features’ of a mutual fund. It doesn’t describe what a mutual fund is. Without the complete context, each blind man saw the elephant as something other than what it was. Likewise, without explaining what a mutual fund really is, how would a first time investor understand the concept of a mutual fund? And without understanding the concept of a mutual fund, how would a first time investor trust it? Most investor awareness campaigns include heavy doses of complicated financial jargons like power of compounding, equity, debt, hybrid, etc. But these words are alien for first time investors. Plus, campaigns include wishful thinking like be a disciplined investor and execute goal-based plans. A behavioural science study by Fernandes, Lynch, & Netemeyer – a meta-analysis of over 200 financial programs on educating investors – has found that the largest effect any of them had was a mere 0.1%. Research amongst first time investors by Briefcase shows that the only thing they recall about mutual funds is ‘mutual funds are subject to market risks, please read the scheme documents carefully before investing’, without even knowing what it really means. Leave alone the cognitive challenge of choosing a fund from over a thousand of them, they don’t even get the concept of a mutual fund. The ‘mutual fund sahi hai’ campaign doesn’t address this problem. But behavioural science can help. Behavioural science involves using powerful principles to create intuitive communication. One example is the principle of familiarity. 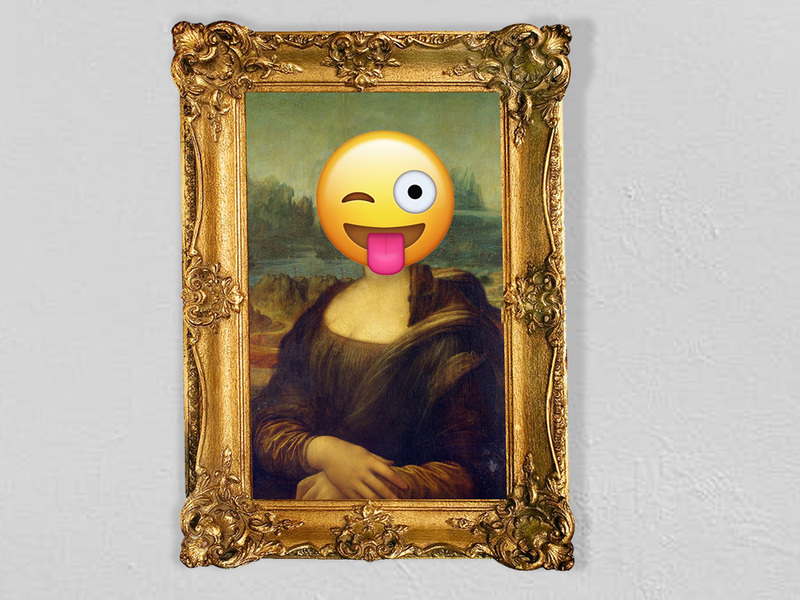 In an experiment by behavioural scientist Bornstein et al, faces of individuals were flashed on a screen so that quickly that participants couldn’t recall having seen those people. Yet, when these participants met those people, they liked them and were persuaded by them to a greater extent. So to get first time investors to adopt mutual funds faster, the communication needs to make the unfamiliar, familiar. Mutual funds need to draw heavily from what people are already familiar with – banks, savings, fixed deposits, recurring deposits, provident funds, etc. But the latest ‘mutual fund sahi hai’ campaign does exactly the opposite and talks about mutual funds being a new way of investing. The behavioural science principle of cognitive overload shows that too much choice and information results in indecision and lower sales. Behavioural scientists Sheena Iyengar and Mark Lepper set up a display at a supermarket in which passersby could sample a variety of jams that were made by a single manufacturer. Either 6 or 24 flavors were featured at the display at any given time. Results – only 3% of those who approached the 24-choice display actually purchased any jam. In comparison 30% bought when the choice was between 6 flavors. In an experiment on retirement funds, behavioural scientists Sheena Iyengar, Huberman and Jiang analyzed retirement programs of 8,00,000 workers in the US and found that when only 2 funds were offered, the rate of participation was around 75%, but when the 59 funds were offered, the participation rate dropped to about 60%. Likewise, the concept of mutual funds needs to be made simple and easy to understand, without any jargons, ensuring there’s no cognitive overload for first time investors. In our research with first time investors, when we asked them to illustrate ‘income’, they drew cash and cheque. When asked to illustrate ‘savings’, they drew a bank branch with its signage. But when they were asked to illustrate a ‘mutual fund’, they drew a blank. But the powerful principles of behavioural science can help create that image for a mutual fund – intuitive and persuasive. Because only if the first time investor gets what a mutual fund is, will she/he trust it and invest in it. This article of ours first appeared in Mint on 21st March 2018. I have heard many people say investing in stocks is like gambling in casinos. People find both situations uncertain. They say, “You never know what’s going to happen in either circumstance”. But in reality, risk and uncertainty are very different from each other. So is gambling from investing, and it is important to know this difference. In case of gambling at a casino or playing the lottery, risks are in fact calculable. Sure, a gambler or lottery player can’t calculate the exact probability of winning, but the odds of winning are always in favour of the casino or the lottery owner because it has to survive, cover costs and make profits. While it makes some gamblers and lottery players highly optimistic and thus overestimate their probability of winning, it leads others to stay away owing to the risk of losing money. On the other hand, when investing in stocks, one must remember that businesses and economies are ever-changing and uncertain. The risks cannot be calculated by a mathematical formula like calculating the probability of winning or losing in a casino or lottery. That, of course, makes people scramble to create complex formulae to calculate the risks of investing in stocks, because our brains can’t deal with uncertainty. The need to feel certain is a deep human desire, which leads us to suffer from what behavioural economist, Nassim Taleb, calls the Turkey Illusion. Taleb uses the example of a turkey to illustrate this. Imagine you were a turkey. On your first day on this planet, a man came towards you. You were afraid that he might kill you, but he was kind and gave you food. Next day, you see the man approach you again. You feel scared, but again he is kind and gives you food. So after the first day, the probability that the man will feed you the next day is 2/3. If he does feed you, the probability increases to 3/4, and so on. On Day 100, the probability that the man will feed you and not kill you is 99/100. You are almost certain that you will be fed. But it’s Thanksgiving. You are dead. You didn’t know about Thanksgiving. Wrongly assuming that a risk can be calculated has been termed the Turkey Illusion. Thanksgiving was an unknown risk. Likewise, not every risk is known in the stock market; therefore it can’t be calculated. I’m not trying to scare you, but that’s the reality with any investment—shares, real estate, gold…. Confidence in housing was the highest in the US before the onset of the sub-prime crisis because the risk estimates in the housing market were based on historical data. 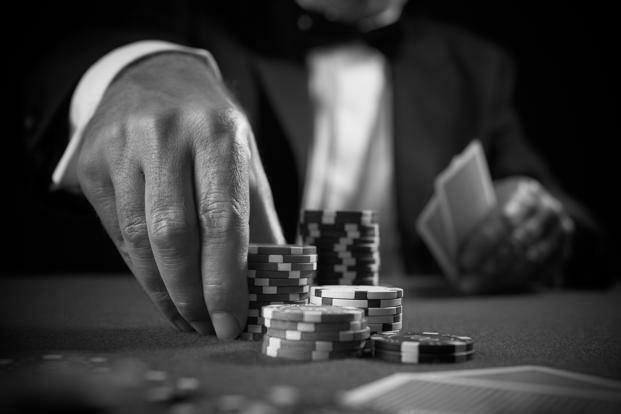 At the same time uncertainty associated with investments in stocks, real estate or gold doesn’t make them riskier than playing a lottery or gambling in a casino. It’s just that the risk cannot be accurately calculated because there are just too many variables that affect the price of investments—from the economy of the country to the economy of other countries, the amount of liquidity in the market, the amount of liquidity in the world, and many more. However, even though uncertainty in investments can be high, the risks can deliberately be reduced by ensuring, for example, that one doesn’t pay a steep price for the investment. If you buy any investment at a high price, the risk attached becomes proportionately high, because it may take that much longer to profit from it. It also increases the risk of the price going below the price you paid, due to uncertain circumstances. In stock investments, it is recommended to buy a stock of a company keeping in mind a margin of safety. Margin of safety is one of the main principles of Benjamin Graham, who was the guru of acclaimed investor Warren Buffett. According to the principle of margin of safety, one should try to assess a realistic value of the business, its corresponding price of a share in the company, and buy if it is available for, say, 20% lower price than its worth. Therefore, 20% is the margin of safety against any uncertainty in the business or external variables. What this also means is that one has to take efforts at arriving at a reasonably fair valuation of the investment; otherwise, there is no way of knowing whether the investment is over-priced or fairly priced. In doing this, the risk gets reduced, even though uncertainty continues to remain present. Know that gambling in casinos and investing in stocks is not the same thing. Risk and uncertainty are not the same thing. Gambling in casinos comes with certainty as defined by probabilities, but the risk of losing money is high. Investing in stocks comes with a lot of uncertainty as defined by probabilities, but the risk can be managed reasonably well. 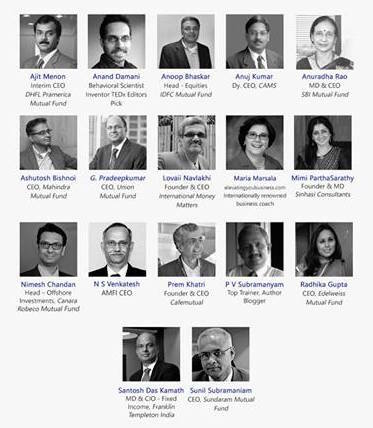 We spoke on ‘Overcoming behavioural biases in investing’ at CafeMutual’s conference for financial advisors in Mumbai on 23rd Feb, 2018. 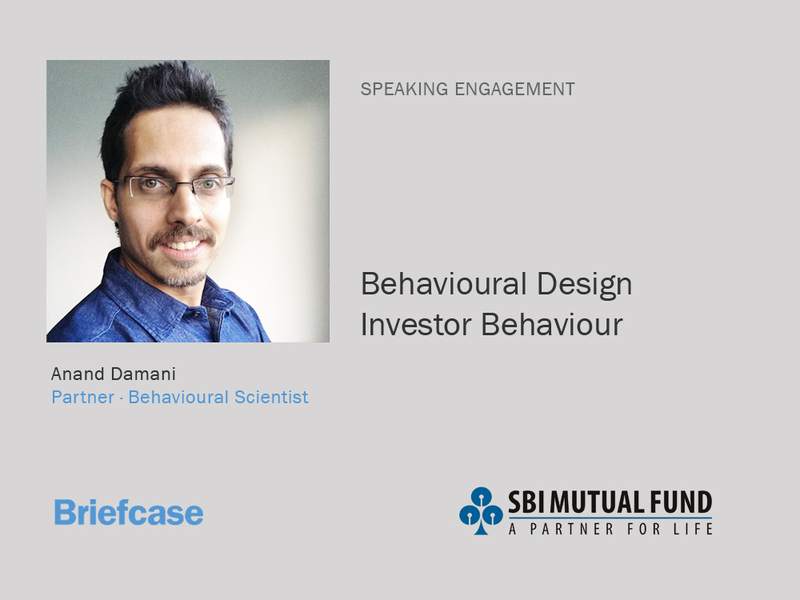 We first introduced Behavioural Design and then followed it up with few examples of behavioural biases in investing, along with possible Behavioural Design solutions to overcome them. The feedback we got from the audience and co-speaker CEOs ranged from ‘thumbs up’ to ‘fantastic insights’ to ‘rocking presentation’. Honestly it was business as usual, but the feedback was great probably because behavioural science is relatively new for people and Behavioural Design nudges are simple, low cost, practical and effective at changing investor behaviour. While we’ve come up with few Behavioural Design nudges to manage our own investing behaviour, we’ve not even scratched the surface in coming up with Behavioural Design solutions for changing investor behaviour for clients. The journey has just begun. Looks like we’ll be creating lots of Behavioural Design nudges for changing investor behaviour – at communication level and product level – for both first-time and evolved investors. Fun. This article of ours first appeared in Mint on 12th Feb, 2018. Imagine you have units of ABC mutual fund. You consider switching to XYZ mutual fund, but don’t. One year passes and you find that you would have made Rs1 lakh more if you had switched to XYZ mutual fund. How would you feel? Now imagine another scenario where you have units of ABC mutual fund, and during the year you switched to XYZ mutual fund. One year passes and you find that you would have made Rs1 lakh more had you kept ABC mutual fund. How would you feel? Which condition would make you feel worse? Studies by Nobel-winning behavioural scientist Daniel Kahneman and his colleague Amos Tversky have found that 92% of people find the second condition worse. The mistake of an action seems worse than a mistake from inaction. It generates more regret because the first condition is like an opportunity lost whereas the second condition is an actual loss. The second condition translates to seeing oneself as a loser, but not the first. The monetary loss is followed by a psychological loss from admitting you made a mistake. That’s why losses cause a lot of pain. The region of the brain associated with evaluating negative emotions like pain and disgust is called ‘insula’. When people smell vomit or see a cockroach, the insula bursts into action. The insula also lights up when we lose money. In a study by M.P. Paulus et al, the insula was roughly three times as active after people lost money as it was after they won money. The more intensely the insula fired, the more likely the person was to pick a lower-risk option the next time. Losing money on an investment is like smelling rotten food, it’s disgusting. We try to move away from it, wipe it off our memory and want to wash our hands off it. That explains why investors, including me, find it difficult to sell an investment when its price is down, since the notional loss will now get converted into actual loss. That makes most people like to believe that the price of the loser investment will go up one day and that’s when we’ll sell it. The thinking goes, ‘If we sell it now and it bounces back, we would have made two mistakes —one buying high and two selling low. If we hold on and it bounces back, we will feel much better.’ However, if we hold on and it doesn’t bounce back, it will be a bigger loss than had we sold it. Hanging on makes sense only if we believe that the investment has value and that value is more than the existing low price of the investment. However, that’s a tough decision which leaves most investors paralytic. An analysis of 2 million transactions of Finnish investors by behavioural scientists Hersh Shefrin and Meir Statman, found that they are 32% less likely to sell a stock after a sharp fall in price. Professional money managers in Israel cling to their losing stocks for an average of 55 days—more than twice as long as they hold winners. A study by David Harless and Steven Peterson that looked at 97,000 trades, found that investors cashed in on 51% more of their gains than their losses, even they could have raised their average annual returns though by 3.4% points if they had held on to winners and dumped the losers. The study by Martin Weber and Colin Camerer found that among 450,000 trades in 8,000 accounts at a brokerage firm, 21.5% of clients never sold a single stock that had dropped in price. 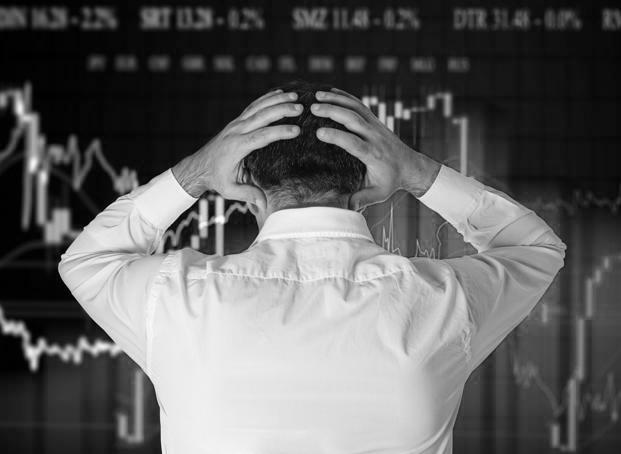 Researchers Zur Shapira and Itzhak Venezia found that new mutual fund managers sold 100% of the stocks ranked at the bottom, implying that their predecessors would have been paralyzed by their own mistakes that only a new person could clean the portfolio. Karl Case and Robert Shiller find that people trying to sell their house hold out longer when they are facing a loss, and will often take the house off the market and not sell, rather than lose money on it. Dealing with losses is painful, but thinking about the loss differently could help. 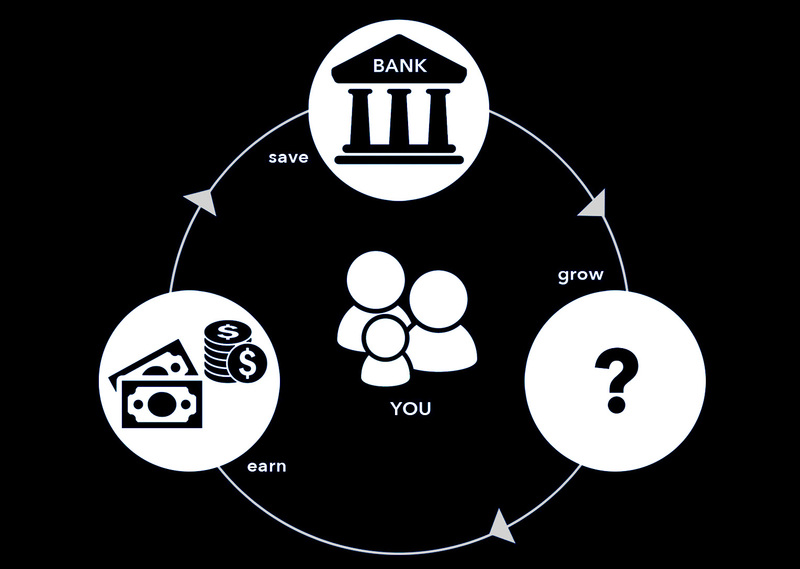 One behavioural design solution could be to find another investment that you would like to put money into. Think of the proceeds as funding the new investment by selling the loser investment. 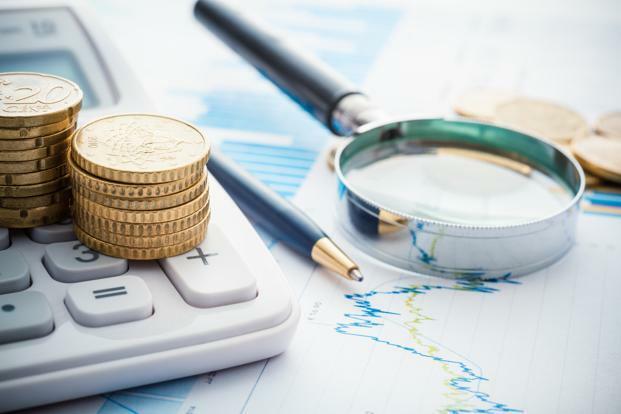 It will help you generate cash for buying the new investment and you can write off the loss to offset your capital gains and reduce your taxable income. Moreover, the learning of what went wrong should be undertaken by introspecting why the loser investment was originally bought and why its value had changed over time. If the investment still has value and potential, then holding on would make sense. If not, the faster you can sell, the lesser will be your loss. Its a famous dialogue of movie star Salman Khan in the Bollywood movie -Dabang. I’m sure we’ve all experienced doing things over and over again that one day we realize it’s difficult to do it any other way. Whether we’ve invested our time and money in a particular project or poured our energy into a doomed relationship, it’s difficult to let go, even when things aren’t clearly working. You may say that commitment is essential to motivation. Sure it is. But sometimes it works in funny ways. Take for example, Max Bazerman’s negotiation class at Harvard Business School. In his class he waves a $20 in the air and offers it up for auction. Two rules: bids are to be made in increments of $1 and runner-up losses his/her amount bid. It means that the second best finishes last and has to honor his/her bid, while receiving nothing in return. Winner of course wins the $20. The bidding starts fast and furious until it reaches $12 to $16 range. When students realize they’re approaching the $20 mark, everyone drops out, till the two highest bidders are left. Without realizing it, the two students with the highest bids get locked in. Neither wants to be the loser who pays money for nothing. So they become committed to the strategy of playing not to lose. It’s like both saying to themselves ‘Ek baar jo maine commitment kar di, toh phir main khudki bhi nahi sunta’. The auction continues with the bid going up $18, $19 and yes $20. The other students begin thinking about the poor classmate who bid $19. But when the bidding continues to $21, $22, $23 the students cannot control their laughter. It’s common sense for the bidder to accept his/her loss and stop the auction. But apparently it’s easier said than done. The momentum and the looming loss pull the two bidders. To withdraw is to accept a sure loss, which is highly unattractive. So the bidding continues $50, $100, $150. Max Bazerman says up to a record $204. The two combined forces at work – loss aversion and commitment – make us behave irrationally. And these two forces affect a lot of decisions of ours – whether its love, career, business, shopping, travel, etc. Apparently, Max Bazerman also performs a $100 version of the auction for executives. This auction goes up in $5 increments. But the higher stakes don’t prevent enthusiastic bidding. Source: Judgement in Managerial Decision Making (John Wiley & Sons 2002, page 79-80) – Max Bazerman – who in turn got the idea from Martin Shubik’s The Dollar Auction Game: A paradox in Noncooperative Behavior & Escalation – Journal of Conflict Resolution 15 (1971): 109-111. This article of ours first appeared in Mint on 6th Dec, 2017. It has taken millions of years for humans to evolve into the species we are today. But it’s been only a few decades of living with rapid technological and economic development. We have lived among and survived snakes, spiders and other species that could have led to our extinction. That’s probably why our brain has developed parts like the amygdala, which acts as an alarm system, generating fast emotions like fear when we notice anything that’s out of place or scary. The amygdala that induces the fear reflex has helped our ancestors survive and it continues to remain a vital tool in today’s daily life. When we see a face that’s scared, we take cues and act instantly; or, if we smell smoke, the amygdala floods the body with fear signals even before we are consciously aware of being afraid. However, today, life has been changed dramatically due to money and technology. A potential economic threat makes us panic. When our investments take a sudden drop, we react and sell our investments; making ourselves poorer, not richer. But we feel more comfortable to invest when markets are rising. We do the opposite of what common sense shows us—we need to buy low and sell high to make a profit, but we buy high and sell low. In other circumstances, people avoid investing in the stock markets because they are afraid that the stock market might crash, but have no idea how rising prices eat up their savings and cause a loss of money. We are not good at assessing risk—monetary and non-monetary. The more vivid and imaginable a risk is, the scarier it feels. Behavioural scientist, Paul Slovic, says people will pay twice as much for an insurance policy that covers hospitalization for ‘any disease’ than one that covers hospitalization for ‘any reason’. Any reason covers any disease, but ‘any reason’ seems vague, while ‘any disease’ is vivid. The vividness fills us with fear. It’s not logical. Decades of behavioural science is proving than we don’t always make rational decisions. On the contrary, we often make decisions based on emotion and therefore the decisions sometimes tend to be not rational. For example, people are scared of flying because a plane crash is vivid. Tons of people, including myself, buy air travel insurance, but if we take probability of a plane crash into account, we will find the air travel insurance not worthwhile. At the same time, driving a car without wearing a seat belt feels perfectly safe for a lot of people in India. Let’s see what the numbers have to say. Last year, no one died in India due to a plane crash compared to more than 1,50,000 people who died in road accidents in 2016. So what’s safer—flying by plane or driving on roads? Here’s another example: terrorism. Terrorism creates images of violence, gun shots, bombs, bloodshed. We feel that the risk of terrorism is uncontrollable. But did you know that only 178 civilians died due to terrorism in India this year. On the other hand, smoking kills 1 million people every year in India. Yet we feel more scared of terrorists than cigarettes. But smokers feel they are in charge and understand the consequences, that’s why the risks seem lower than they truly are. Says Nobel-winning behavioural scientist, Daniel Kahneman, “We tend to judge the probability of an event by the ease with which we can call it to our mind. The more recently an event has occurred, or the more vivid our memory of something like it in the past, the more available an event will be in our minds and the more probable it will seem to happen again.” Clearly that’s not the right way to assess risk because the event does not become more probable just because it occurred recently. In fact, the best time to ‘value invest’ is when the markets are depressed. That’s likely to be a time when there is more bad news than good news, when corporate performances don’t look that good and when analysts don’t have nice things to say. In other words: when markets are low. However, people judge such times to be risky and stay away from stock markets, and when the markets are rising, people hear positive news all around and most investors find comfort in positive statements made by analysts. Due to this positivity and euphoria, people invest at high levels only to find that the trend doesn’t hold true for long. Understanding risk is critical to managing money. So when you think about risk, it’s better to use a calculator instead of your heart. We were in Goa over the weekend for delivering a talk on investor biases and behaviour for SBI Mutual Fund’s financial advisors. We spoke about several biases and how advisors need to be aware of them for handling their own portfolio as well as for managing their client’s expectations and behaviour. Biases like action bias, loss aversion, mental accounting, choice paradox, social proof, etc. make people their own worst enemies in investing. That’s why markets multiply money by hundred times but investors don’t get such returns. It was also fun interacting with fund managers and understanding their perspective on investing. Since these are commissioned talks they can’t be shared. However you can read all about investor behaviour and how to not make investing mistakes by clicking ‘Investor Behaviour’ in ‘Click on your topic of interest’ on the homepage right hand column. Happy reading, learning and investing! Post-edit: The second round of the talk happened in Hyderabad. Be the first to know about the latest in Behavioural Design.